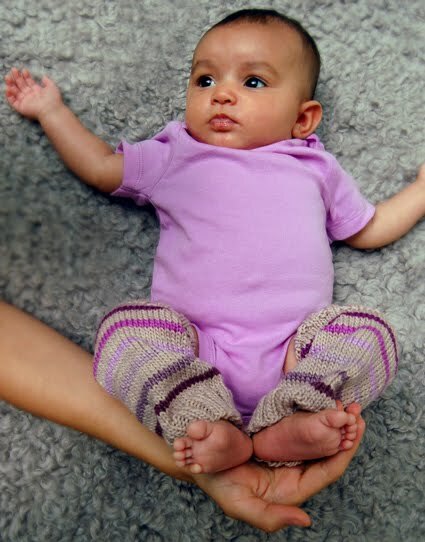 I am a huge fan of leg warmers during the fall and winter season and was over the moon when I discovered that you can get or make leg warmers for your wee one as well! Imagine the possibilities. Not only are they cute to boot but they keep your little one warm while changing diapers, make diaper changes easier, provide comfort during potty training and keep their precious knees protected when scooting about on hard floors when crawling. I can not wait to pick some of these up or to make a few for our babe. While looking into cute knee high socks to use for my handmade baby leg warmers, and friend of mine (another mommy) suggested knitting some. Hmmmm I may just do that, thanks Elaine! I know I am full of promises but I really am going to post the finished product, promise cross my heart. Hello. My name is Tina Durocher-Story and welcome to my design studio based in Toronto. I am an illustrator, paper good designer and new mom. This is my space where I share my inspiration, new work and other lovely things that I find. I am available for freelance design work, and custom invitation commissions. Please contact me at tina@tinadurocher.com for all inquiries.